You may be saying to yourself, "Wait a minute! Last time you wrote about salt testing you said there were really only 2 popular methods being used. What's going on and what is this 3rd method all about?" Well, you are right. Historically we have written about and discussed 2 popular methods where operators used either conductivity meters and, or, titration for testing salt in food products. But recently we have seen a new development for testing salt levels in food products and thought it should be shared with you. Before we do, let's review. When we talk about salt we need to agree on the terminology. 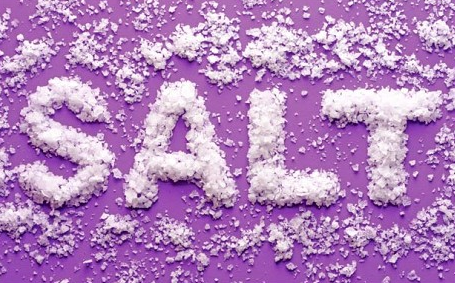 Table salt or "salt" that we think about in our foods is known as sodium chloride (NaCl). 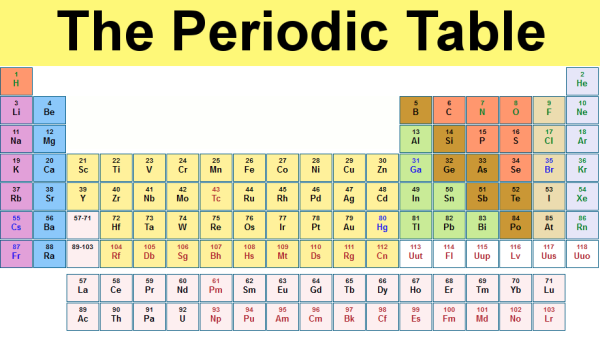 Although you cannot find NaCl on the periodic table of elements shown below, you can see both sodium (Na) and chlorine (Cl). 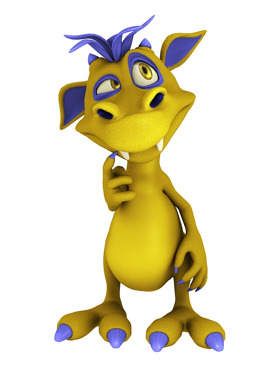 What's the deal with chlorine you say? Well, chlorine under standard conditions is actually a yellow-green gas but when chlorine atoms gain one electron they become a chloride ion (Cl-). Since an ion cannot remain in a free state all by itself it must combine with another element(s) to form a compound. Chloride (Cl-) is therefore a by-product of the reaction between chlorine (Cl) and an electrolyte such as sodium (Na). Hence, sodium chloride (NaCl) is known as an Ionic Compound. There are other "related" chlorides (Ionic Compounds) but not as common and they are; calcium chloride, magnesium chloride and potassium chloride (we will save a discussion about these chlorides for another blog post). Sodium chloride (NaCl) is naturally occurring in much of the earth's crust and can be found in places like the Great Salt Lake Basin in Utah. A gift to this earth, nature, and our bodies! You see, the human body needs both sodium and chloride to function properly although it's worth mentioning that there is still debate about the effects of chloride levels in the body as compared with the more well known negative effects we associate with sodium (Na) and high blood pressure. These numbers are significant because if we look for (Cl) then we can determine (Na) and or (NaCl) by doing simple math, e.g. if you can find (Cl) then you can back into (NaCl) or determine (Na). So that's it for the salt review, lets move on to the testing methods. "Conductivity meters" are based on the conductivity of water and is a measure of the waters ability to pass an electrical current. 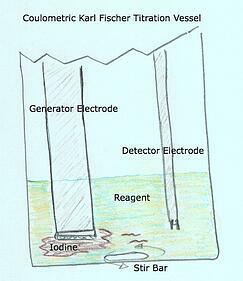 Water with more ions present will conduct more electrical current. Seawater has more ions and is more conductive than fresh water. In our example for testing salt (NaCl) the chloride (Cl) readily dissolves in water. The fact that chloride (Cl) dissolves in water is key. The more chlorides (Cl) that dissolve, the greater the number of conductive ions that will be present and therefore increase the conductivity of the water, and vice versa for lesser amounts. The conductivity levels measured then are compared with known standards and tables like seawater. These numbers can then be reported in micro Siemens per centimeter or other conversion scales. The conductivity method is an indirect measurement but it is easy and fast (several seconds). It tends to be less accurate than other methods and has some limitations with the range of measurement. 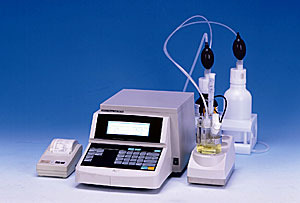 Titration can be performed manually or by using an automatic titrator. This popular titration method determines the chloride ion concentration. Silver nitrate is used as the indicator and is added until all of the chloride ions are precipitated. So, this method also measures the amount of chloride (Cl) and uses the mass percent weights to determine sodium chloride (NaCl) and or sodium (Na). This method for measuring salt is more involved, takes a little more time (3 to 6 minutes usually), but is very accurate to the parts per million (PPM) level. The titration method does require the use of a silver electrode/ph electrode (or combined silver electrode), silver nitrate, and someone who understands how to run the method (manual or via automatic titrator). Nuclear Magnetic Resonance (NMR)? Huh? Nuclear Magnetic Resonance (NMR) has been around since 1938 and has benefited the field of chemistry and medicine in important ways, helping researchers and chemist to identify and measure certain elements found on the periodic table. It's only now that technology has allowed for the miniaturization of the components (magnets, etc) necessary for making a benchtop NMR device. This greater access and ease of use with NMR technology has the potential not only for researchers and chemist but for main-stream industry to find new and useful applications for testing materials with NMR. So, if you can see where this is going then, YES, you guessed it. NMR can identify and measure sodium (Na) directly with part per million (PPM) accuracy. I will say it again, this method measures total sodium (Na) directly with part per million (PPM) accuracy. (NaCl) and (Cl) can be determined also as we know the mass percentages for these elements. Although it's a new concept for the food industry this new approach for measuring sodium could prove promising because it is easy, accurate to the part per million (PPM) level, and quick too (about 30 seconds per test). 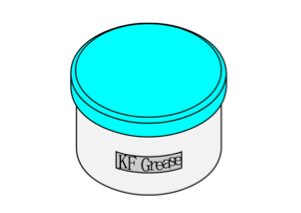 Certain types of Karl Fischer vessels require the use of Karl Fischer grease. Vessels with smooth port openings need a thin layer of the grease applied to plugs, electrodes, dessicant tubes, bubbler tubes and injection port plugs to help form a snug fit. Decreasing or limiting "ambient moisture" from getting into the vessel - otherwise known as "drift" - is the key benefit of using Karl Fischer grease. Another benefit of Karl Fischer grease is that it also helps prevent chipping of glass on glass fittings. Watch this short video to see how Karl Fischer Grease should be applied. If you find this information helpful please consider subscribing to our blog. Once you subscribe you will get notified when we post a new article. What are Karl Fischer Water Standards and what do the numbers mean? Most everyone working with Karl Fischer Titration at some point ends up wanting to check their instrument for accuracy and overall operational readiness. Karl Fischer Water Standards were made to assist operators with making these operational checks. Sometimes however we find there is some confusion about the choice of water standards available and what the numbers mean. 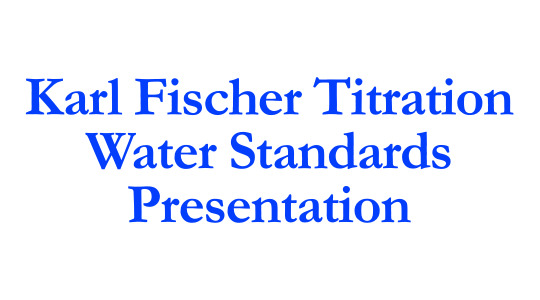 Karl Fischer Titration Water Standard Video from Scientificgear on Vimeo. So what do the numbers mean? 0.1, 1.0, 10.0? Simply put, these numbers tell us the amount of moisture (H2O) that is present in 1 gram of the water standard. The amount of moisture (H2O) is expressed as milligrams on the packaging. Using the Hydranal 1.0 for example we say there is 1.0 milligram of moisture (H2O) in 1 gram of the water standard. Did you know there are 1,000 micrograms per 1.0 milligram? Yes there is. So instead of thinking in terms of 1 milligram per 1 gram of water standard, think in terms of 1,000 micrograms per 1 gram of water standard. Why? Karl Fischer Titrators count moisture in micrograms! Since Karl Fischer Titrators count moisture in micrograms it's easier to think about the water standards in terms of micrograms. Why? For the Hydyanal 1.0 we are looking for results within ±3% of 1,000PPM (970PPM to 1030PPM). 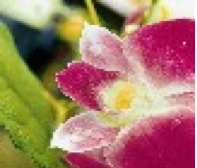 For the Hydranal 0.1 we are looking for results within ±10% of 100PPM (90PPM to 110PPM). In this presentation we discuss the basic Karl Fischer Water Standards and talk about some of their uses for both Coulometric and Volumetric Karl Fischer Titration. We also describe some of the related problems that can be identified and overcome by using Karl Fischer Water Standards. As a service provider of Karl Fisher testing apparatus, we see different moisture testing issues that many operators, managers, and even companies face. We have come to realize that helping operators become more knowledgeable about "the little things" can help boost confidence, improve performance and efficiency, and ensure accurate testing. Are you new to Karl Fisher Titration and just beginning to learn about moisture testing or has it just been a while since you had to pull the Karl Fisher Titrator out to run some tests? Regardless of your reason we know how important it is to get up to speed quickly so you can be running tests and providing moisture test results to those who need them. To help with this we have compiled a list of the 20 most critical questions to help operators navigate through the learning curve and gain a better understanding of Karl Fisher Titration. 4. "We use a solids evaporator and we are getting ZERO moisture results. Why?" 5. 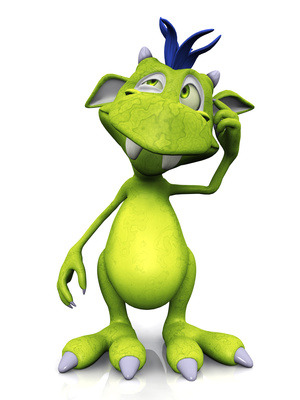 "How many tests can I run and when should I change out my reagents?" Avoid unnecessary surprises by getting a copy of the complete list of questions and learn what the issues are and why they are important. Simply put, drift is background moisture that the Karl Fisher titrator is detecting. What is background moisture? Well, it is moisture that the Karl Fisher titrator (specifically the detector electrode) is detecting inside the vessel -that’s not coming from your sample. 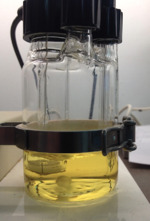 Drift or "background moisture" can be the result of having the titration vessel sitting idle for some time where moisture has slowly infiltrated and accumulated inside the vessel, or it may be the result of a leak that is allowing a small amount of moisture to enter the vessel continually. 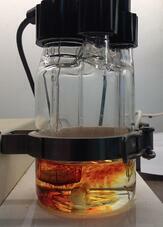 Although we might like to think that the Karl Fisher titrator vessel is air-tight/moisture-tight, it is not. Depending on how well the vessel is sealed there may be a little or there may be a lot of background moisture interference. All Karl Fisher titrators deal with the drift issue. Unfortunately drift cannot be completely eliminated but the good news is that it can be reduced, measured, isolated, and discarded from your test results. Before a single test is run on a Karl Fisher titrator it must go into a “ready” mode. But before the titrator can go into a “ready” mode it most likely will go through a “pre-titration” mode. 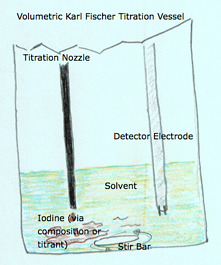 During the “pre-titration” mode excess drift (moisture) is detected and removed by the reagent inside the vessel. A “ready” mode ideally will occur when the drift being measured is low and steady/stable – usually below .1 micro grams per second. 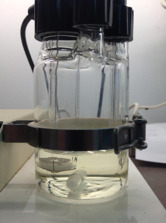 Once the drift becomes low and stable the Karl Fisher Titrator records the drift level and goes into a “ready” mode and will allow the operator to introduce a sample into the vessel. Upon completion of the test the Karl Fisher titrator adds up all of the moisture detected over the duration of the test and subtracts out the known drift level that was also measured during the test. This process of knowing what the drift was before the test allows the Karl Fisher Titrator to then determine and backout the drift -leaving only the moisture detected from the sample as your result. It is highly accurate and precise (Part Per Million Accuracy). The process does not require large samples, which is typically truer with Loss on Drying where more sample is required to achieve higher accuracy and repeatability - which introduces another entirely different problem. It does not require much time to perform an analysis since the samples are easy to prepare and the analysis itself is short in duration. The method has a nearly unlimited measurement range (from 1ppm to 100%). Karl Fischer titration can determine the moisture content of a sample in any state, whether it is a solid, liquid, or gas. We hope the above advantages show some of the benefits that Karl Fischer titrators can provide. Even today with technological advancements Karl Fisher Titration remains very popular not only because of the advantages we mention, but also because it is widely accepted as a standard for moisture detection and measurement. Karl Fischer Titrators; How much reagent do I need? This is a popular question for most operators using a coulometric Karl Fischer titrator. So let's get started. There are two things to consider. First, you have the chemical limitations of the reagents themselves. Second, you have the user/operator variable. Sometimes changing the reagent has more to do with the condition of the reagent sitting in the vessel. How full is the vessel after running numerous test? How long has the reagent been sitting in the vessel? How messy is the reagent and sample residue inside the vessel? Sometimes the user may simply want to replace the reagents because they look dirty/messy or their vessel is too full from adding samples during previous tests. 1. In general and with regard to reagent brand, 100mL of Anolyte (AKA Anode- the reagent used in the vessel) reagent analyzes up to 1gram (1 million micro grams) of water. 20mL of Catholyte (AKA Cathode- the reagent used in the generator electrode/inner buret) reagent analyzes up to 1gram (1 million micro grams) of water. The relationship according to the amount of water each reagent can analyze has a relationship of 100mL Anolyte to 20mL Catholyte – a 20% relationship of catholyte to anolyte. 2. Anolyte is commonly purchased in 500ml bottles, Catholyte is commonly purchased in10x5mL ampules. 3. 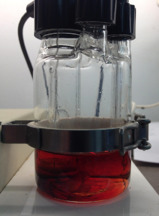 A typical coulometric Karl Fischer titrator Vessel is charged with 75mL of anolyte and 1ea 5mL catholyte ampule. Based on the 20% relationship it says that 3x5mL catholyte ampules would be used with each 75mL vessel charge of Anolyte. 4. A 500mL bottle of Anolyte can charge the Coulometric Karl Fischer titrator vessel 6.6 times (round to 6 times to account for spillage). 3x5mL Catholyte ampules per charge of the vessel times 6 charges of the vessel = 18x5mL catholyte ampules. Typically users do not expire the entire useful life of the reagents moisture measuring capability because of some of the factors I mentioned initially. Another factor that I have to mention is that ambient moisture will require the coulometric Karl Fischer Titrator to maintain a dry vessel. This process of keeping or getting the vessel in a ready to go mode can use some of the reagents useful life. e.g. it’s not counting the moisture in your samples but that of the outside ambient moisture – for the most part this should be a small amount, but something to keep in mind and know about. So, with all of this information, the question you may have is how long will my reagents last? Well, that depends. But, if you want to continue using the math we have already discussed, then, 1 charge of the vessel (75mL of anolyte with 3x5mL catholyte ampules) can measure 750,000 micro grams of water. “Calibrating” a Karl Fischer titrator is somewhat of a misnomer. What most operators are attempting to do is determine whether their Karl Fisher titrator is measuring moisture accurately. A simple method is to run a water standard through the Karl Fischer Titrator like a normal direct injection test. Depending on the water standard you use, the result should equal a pre-determined level of moisture plus or minus a margin for error. These water standards are certified by the manufacturer (a certificate is included) to equal a precise level of moisture. We use Hydranal water standards. There are two kinds we typically use for coulometric Karl Fischer Titrators. The 0.1 normal administered at about 1mL should result in 100ppm (Parts Per Million) of moisture when measured. The acceptable result for this standard for the Karl Fischer titrator is +/- 10%. So your Karl Fischer Titrator should produce a reading between 90ppm and 110ppm to be in the acceptable range. If it is, you know your Karl Fischer Titrator is performing correctly. For the 1.0 normal everything is the same except the standard should result in 1,000ppm and your acceptable range is smaller at +/-3%. So your Karl Fischer Titrator should produce a reading between 970ppm and 1,030ppm.